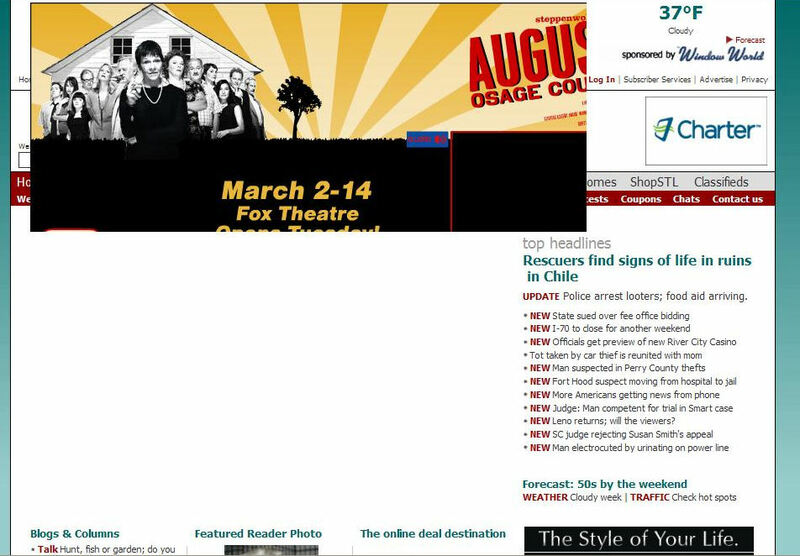 Don’t you hate it when your ad delivery service throws your ads into places too small to accommodate them? 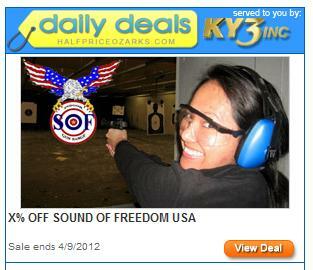 If you don’t, you’re all right with the company serving ads up for the StLToday.com, where this happens all the time. This one falls on the ad syndicator, but that’s one reason you need to find and check your ads in the ad syndicator’s environment or in the wild. That is not a shank. Of course, even when QA points this out, the designers are in love with their own design genius and with the clean lines of a semi-automatic pistol, so they use the image that does not match the headline anyway. Twits. Oh, yes, I can see the account executives and the creative director telling them that they had to hook the banner ad up to the Twitter API so the banner ads could run the latest tweets. Because using Twitter is cool! Interactive agencies often do things, and sell the clients things, that the interactive agency personnel think are cool. See also those annoying 3-d Flash immersion landscapes. These things often really don’t add anything for the user, and as this ad shows, sometimes outstrip the actual technical ability of the interactive agencies. But we have to put a Twitter feed into a banner ad because we can. Then we will tell our other clients we’re experts at it. Then we’ll sell ourselves as experts at it, and we’ll do it over and over even though putting a RT @bonnie YEAH! 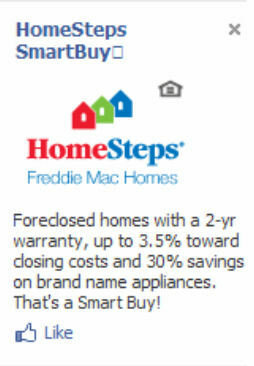 in your banner ad does nothing but use a social media technology just to use it. And it will go on until they find a nice, new shiny object. g33klady spots a couple of banner ads with issues in one session. The word Sight is misspelled in the name of the promotion at the bottom. 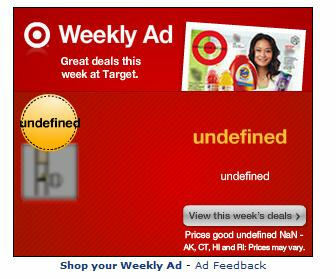 The ad remained in rotation after the expiration of the promotion. 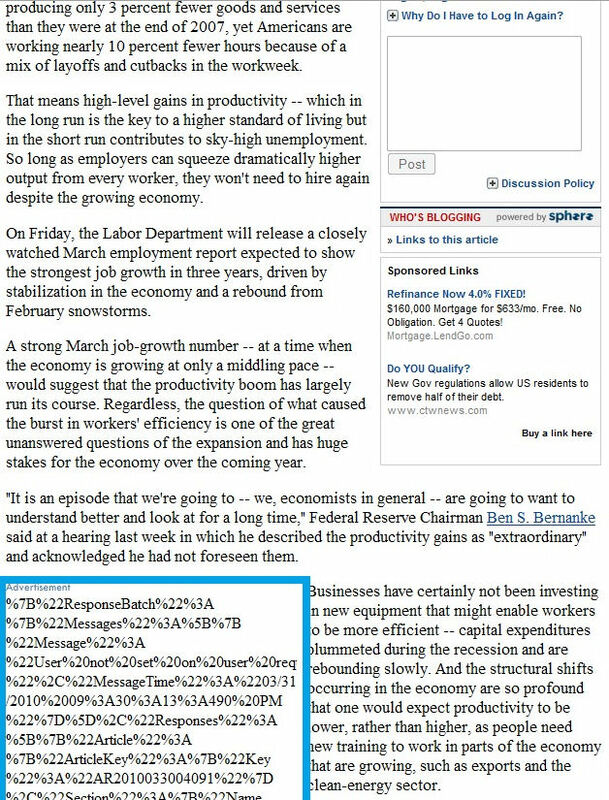 The nearest location address is dummy data. Maybe they’re hoping you’ll think your eyes are deceiving you and you should ACT NOW! Thanks, g33klady. 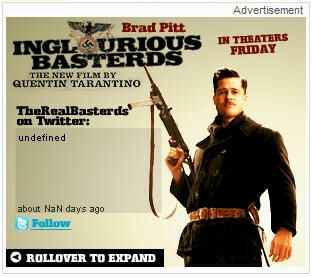 I was afraid this sorts of banner ads only happened to me. 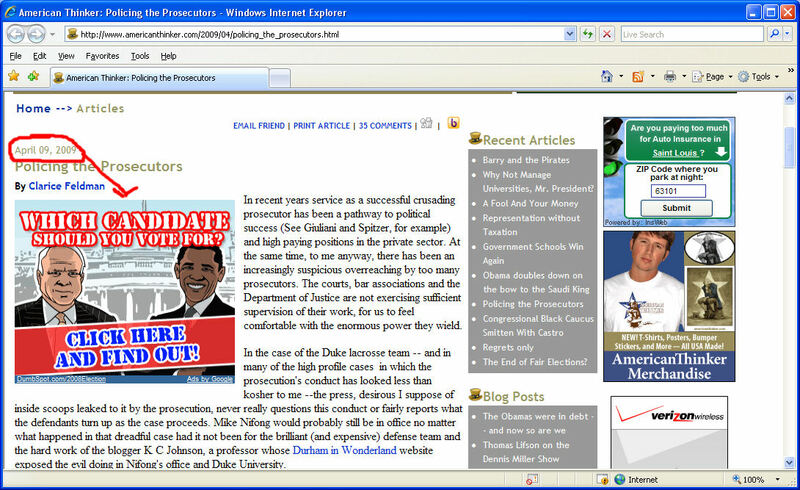 The Washington Examiner provides a healthy dose of lessons in hosting Web banner ads. Let’s enumerate them. An Ad Whose Time Has Come. And Gone. For an election that took place 5 months ago. No doubt a part of a plan to get me to click through so I could snicker at the buffoons who were running the ad so late. No dice, fellows. I can effectively mock from here. Posted in Failed banner ads | Comments Off on An Ad Whose Time Has Come. And Gone. You are currently browsing the archives for the Failed banner ads category.